Torque output checking for multi-spindle nutrunner. Torque output checking for pneumatic angle nutrunner. Torque inspection by retightening or loosing measuring method. Since ST model is wireless, ST model can be installed into body of rotation. Torque can easily be checked by attaching ST to nutrunner. 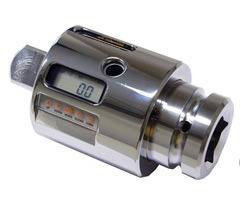 Measuring data can be counted automatically for up to 100 readings. 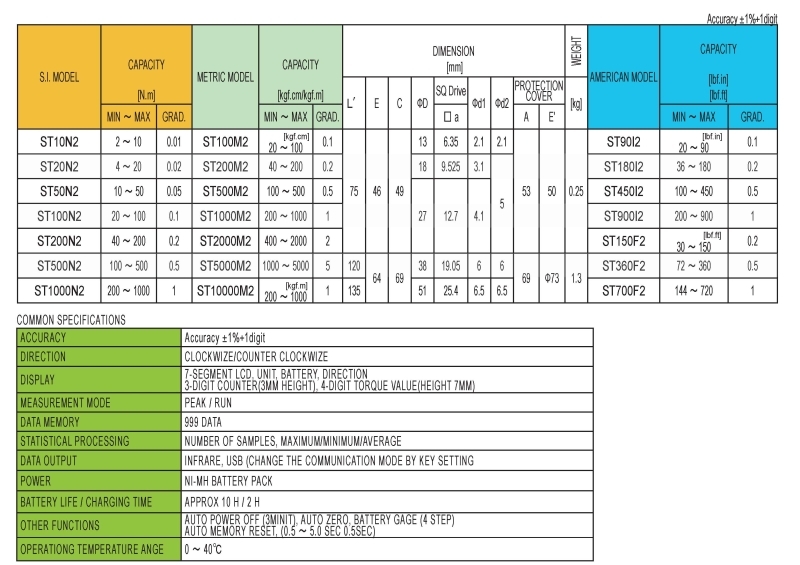 Maximum value, minimum value and average value among measurement data is displayed. Data can be transferred to a printer or PC through an infrared receiver (option) or USB cable. If the extension bar (option) is used with ST, calibration of multiple spindle nut runner can be economically performed. 2 hours' recharging gives 10 hours of continuous use. Do not use ST for impact wrench or impulse wrench check. For infrared data transfer, use DATA TANK (R-DT999). Protector cover is attached to ST500N and ST1000N. Standard Accessories: AC battery charger (BC-4), C-type plug, Leak-prevention plug, Carrying case.